The Spider-Man mod is 10 super suits and some very powerful devices for protecting weak mobs and fighting evil. Since so many Super Heroes mods are already added to the site, then you ask how this one differs from the others? First, this mod was developed for Minecraft PE 1.1 and 1.2, so if you use one of these versions, then you will not have problems with the game. Secondly, the mod collected costumes of almost all the characters involved in the original movies. Try on a costume of Spiderman or his friends, and special weapons and items will help you defeat enemies. After you have put on a suit, you get super strength and additional effects, and some costumes reduce gravity and speed up the player. 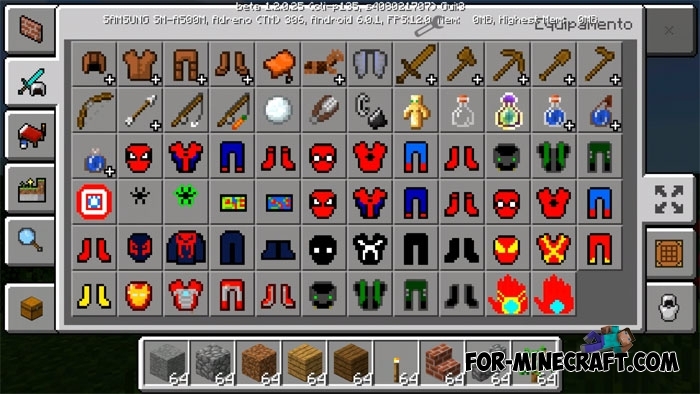 Below you can see almost all the items available in the mod. 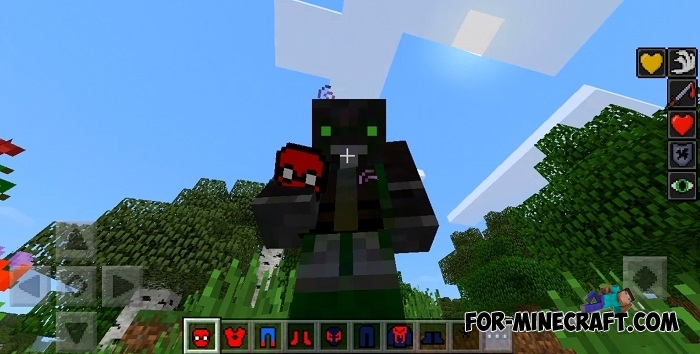 If for some reason you do not want to install the Spider-Man mod, then you can take a look at the Spider-Man skin pack, it's easy to install but there are no effects. How to install the Spider-Man mod? 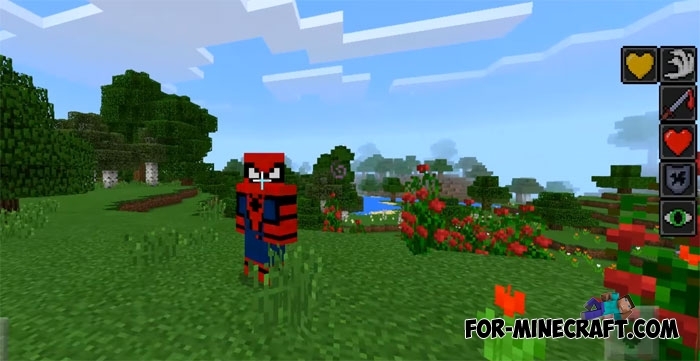 Go to the bottom where it says Download Spider-Man mod for Minecraft PE 1.2+ and tap/click Spider-Man mod for Minecraft PE 1.2+.